Posted on 11/04/2010 by Trần Phước Hùng	| Bạn nghĩ gì về bài viết này? enables a new kind of wireless network between electronic devices. wxPython in Action is a complete guide to the wxPython toolkit, containing a tutorial for getting started, a guide to best practices, and a reference to wxPython’s extensive widget set. 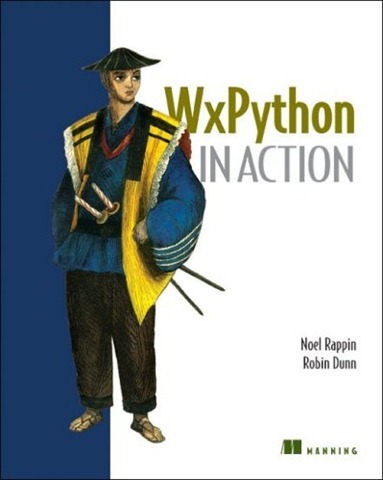 After an easy introduction to wxPython concepts and programming practices, the book takes an in-depth tour of when and how to use the bountiful collection of widgets offered by wxPython. All features are illustrated with useful code examples and reference tables are included for handy lookup of an object’s properties, methods, and events. The book enables developers to learn wxPython quickly and remains a valuable resource for futurework. 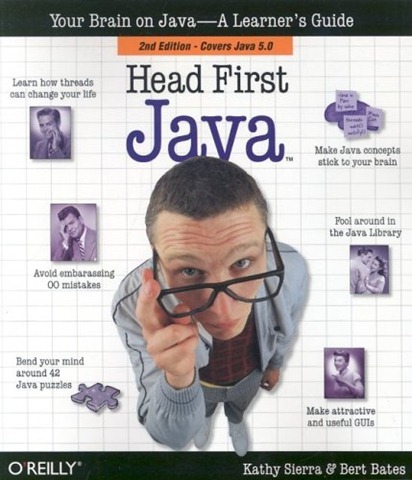 It has taken four years, but with Head First Java the introductory Java book category has finally come of age. 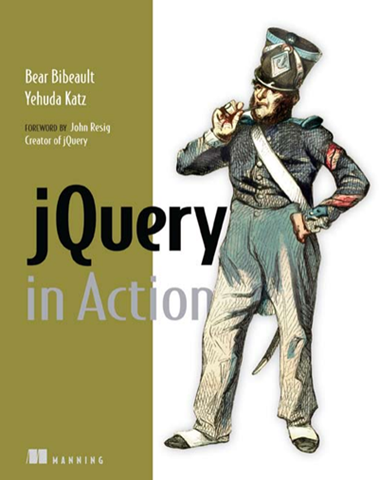 This is an excellent book, far more capable than any of the scores of Java-for-novices books that have come before it. Kathy Sierra and Bert Bates deserve rich kudos–and big sales–for developing this book’s new way of teaching the Java programming language, because any reader with even a little bit of discipline will come away with true understanding of how the language works. Perhaps best of all, this is no protracted “Hello, World” introductory guide. Readers get substantial exposure to object-oriented design and implementation, serialization, neatwork programming, threads, and Remote Method Invocation (RMI). Topics covered: The Java programming language for people with no Java experience, and even people with no programming experience at all. Key concepts read like a list of Java features: Object oriented design, variable type and scope, object properties and methods, inheritance and polymorphism, exceptions, graphical user interfaces (GUIs), network connectivity, Java archives (JAR files), and Remote Method Invocation (RMI). –This text refers to an out of print or unavailable edition of this title. Wrox specializes in books written by programmers, for programmers. 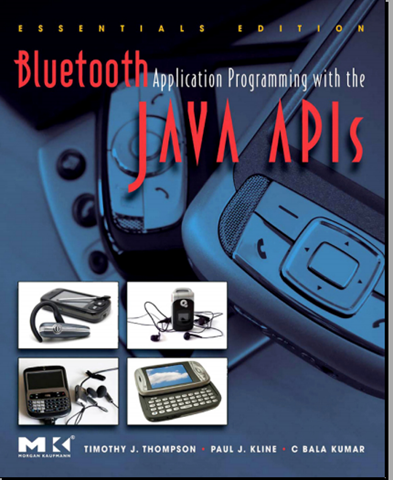 Professional Java Server Programming, a volume on developing Java-based Web applications, is no different. All the 12 authors are developers and consultants–including some who’ve been part of Sun’s own Java team. The Web is becoming more and more a way of delivering applications rather than just static Web pages. Java is becoming more and more popular as a tool for building Web applications, thanks to Java servlets and Java Server Pages. 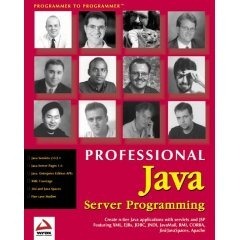 Professional Java Server Programming is a big book full of code samples and real-world experience. Starting with a grounding in Web application development and technologies, the book introduces the various concepts of using Java to deliver Web content–as well as helping to give you the tools you need to work around the limitations of Web servers and Web browsers. You’ll also learn how to develop complex database-driven applications–and how to work faster. Since this is a book on the cutting edge of Java development, you’ll also find sections on using Java with XML documents and LAP directory servers, as well as Enterprise Java Beans. There’s even a good examination of the next generation of Java technologies–Jini and JavaSpaces–with a look at how these can be used in Web applications. An overview of the new server-side Java platform – Java 2 Enterprise Edition – as it relates to building n-tier web applications. It covers the building blocks (Servlets, JSP, EJB, JDBC, RMI, JNDI, CORBA) then goes into special design considerations for server side programming, (including resource pooling and component based design) before finally discussing future possibilities opened up by Jini and JavaSpaces technology. In a world where, increasingly, corporate IT development is Web application development – ASP, PHP, CGI and ISAPI are all viable options.Now, so is the Java 2 Platform Enterprise Edition, and that’s good news because server-side Java is portable across Windows, Linux, UNIX and MacOS and compatible with a wide range of Web Servers (IIS, Apache, Netscape Enterprise Server) and Application Servers from Sun, IBM and others. What does all this mean for you? Java provides technologies to allow for server side processing, dynamic page content generation and dynamic presentation. With these comprehensive, platform independent Java class libraries you can join together the disparate pieces of your business – data, applications and platforms – to form a coherent whole. Java 2 Enterprise Edition – announced by Sun in June 1999 – makes Java an entire platform, not just another language and this is the first book that seriously covers it. 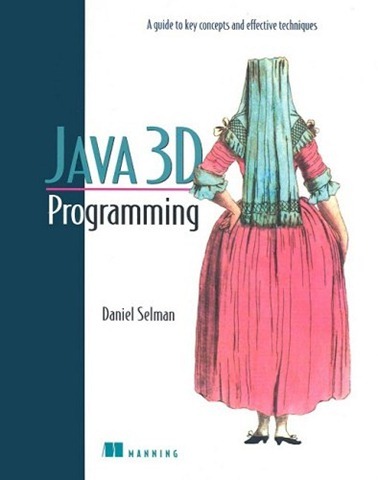 Guiding programmers through the important design and implementation phases of developing a successful Java 3D application, this reference provides guidance on whether to use Java 3D, user interface design, geometry creation, scene manipulation, or final optimizations. Distilling twelve months of using the Java 3D API for commercial projects, as well as discussions on the Java 3D e-mail list, experienced Java 3D developers will find helpful a resource containing the state-of-the-art in techniques and workarounds, while novice Java 3D developers will gain a insight into Java 3D development, and avoid the confusion and frustration of learning Java 3D techniques and terminology. Daniel Selman is the managing director of Tornado Labs Limited, a commercial software company completing projects using the Java 3D API. He has over five years experience in writing commercial Windows software. He lives in Boston, Massachusetts. Posted on 10/04/2010 by Trần Phước Hùng	| Bạn nghĩ gì về bài viết này? Thread là một đoạn mã nhỏ nhất mà có thể thực thi được, nó thực thi một nhiệm vụ cụ thể nào đó. Nhiều thread cùng thực hiện đồng thời, gọi là Multithreading. Các thread trong multithreading có thể chia sẻ cùng không gian bộ nhớ. Các tiến trình trong multitasking gọi nhau phải chịu chi phí lơn hơn các thread trong multithreading. 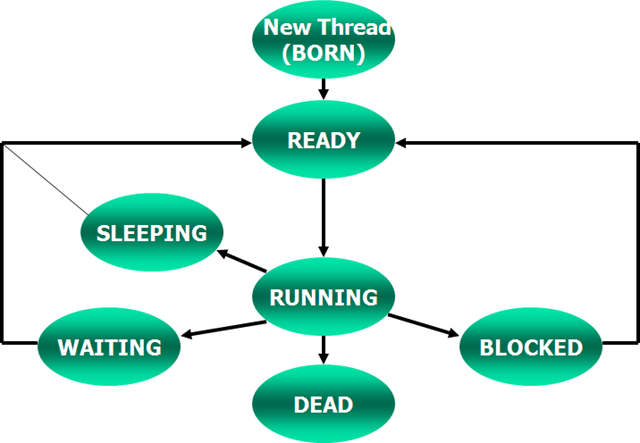 Multithreading còn cho phép chúng ta điều khiển cho các thread sleep một t/g trong khi các thread khác vẫn hoạt động mà ko làm cho hệ thống bị pause. Chương trình sẽ bị ngắt quãng khi thread main bị stop. Main thread có thể được điều khiển thông qua đối tượng thread. Tham chiếu đến main thread có thể nhận được bằng cách gọi method currentThread() của lớp Thread. Định nghĩa một lớp là implements của Runnable interface. Sau khi một thread mới được khởi tạo, chúng ta có thể gọi phương thức start()để start một thread, trái lại nó sẽ là một đối tượng thread rỗng, ko được cấp phát tài nguyên. Khi phương thức start() được gọi, thì tài nguyên hệ thống sẽ được cấp phát cho thread đó và nó sẽ được lập lịch để chạy. Tạo một thread bằng cách kế thừa lớp Thread. Sleeping: thread đang hoạt động cũng có thể bị ngắt quãng bằng cách gọi phương thức sleep(). Thread sẽ chuyển sang trạng thái sleeping một khoảng thời gian. Waiting: Thread sẽ ở trạng thái này khi phương thức wait() được gọi. Nó được sử dụng khi 2 hay nhiều thread chạy cùng nhau. Blocked: thread rơi vào trạng thái này khi nó đợi dữ liệu như thao tác input/output. Dead: thread rơi vào trạng thái này khi phương thức run() kết thúc hoặc phương thức stop() được gọi. final String getName(): trả về tên của thread. final void join() throws InterruptedException: đợi cho đến khi thread die. final boolean isDaemon(): kiểm tra xem có phải là Daemon thread ko. final int getPriority(): trả về mức ưu tiên. Daemon threads: các thread làm việc dưới background và nó cung cấp dịch vụ cho các thread khác. Khi thread của người dùng thoát, JVM sẽ kiểm tra xem còn các thread nào đang chạy ko? Nếu chỉ có Daemon thread hoạt động thì nó sẽ thoát. Chúng ta cũng có thể thiết lập cho một thread là Daemon thread nếu muốn chương trình chính đợi cho đến khi thread kết thúc. public final boolean isDaemon() : Kiểm tra xem 1 thread có phải là Daemon thread ko?